Bristol cars are considered by the manufacturer to be "nicely understated" and based on tradition and practicality rather than ostentation. The cars are still handmade, taking four times the man-hours to complete compared to other luxury cars. Styling is discreet; an engineer's creation rather than a stylist's. 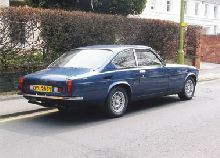 Although Bristol saloons provide "dignified express travel for 4 6-foot (1.83 m) persons and their luggage", efficient packaging means that a Bristol Blenheim is narrower than a Ford Mondeo and shorter than all competing cars. 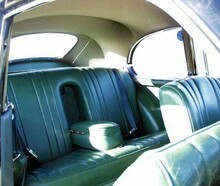 Luggage space is large; the spare tyre is stowed behind a hinged panel in the front left wing and the battery and fuse box in the right so that they do not take up valuable space. The company intends its cars to be effective daily transportation rather than occasional indulgences. With regular maintenance, the company expects the car to outlast its owner. They maintain the vast majority of parts in stock, and they will remanufacture or hand-make any other required parts. They will also provide upgrades, such as newer engines. 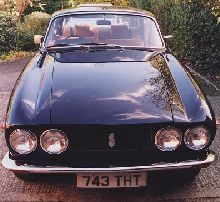 With their small production numbers, lack of glamour and no advertising, most even in the UK would not recognise a Bristol. This exclusive obscurity is very appealing to a certain class of buyer. 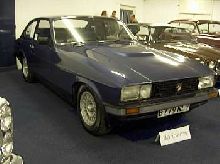 However, Bristol suffered a kind of prole drift around 2000 when Liam Gallagher, frontman of the rock-band Oasis, not considered a typical Bristol owner, bought a Blenheim model. Second-hand Bristols are generally considered to be "classics" and good value considering their quality, rarity and cost when new. Bristol has only one showroom, located at 368–370 Kensington High Street in London. 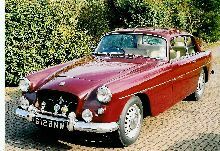 Bristol 401The history of Bristol Cars began in 1945. Forecasting an excess labour capacity postwar, the Bristol Aeroplane Company (BAC) began working with AFN Ltd, makers of Frazer Nash cars, on plans for a joint venture in automotive manufacture. By July 1945 BAC had created a Car Division and bought a controlling stake in AFN. HJ and DA Aldington remained Directors of AFN and were joined on the Board by Reginald Verdon-Smith and George Middleton White, both sons of BAC Directors. Reginald Verdon-Smith was elected Chairman and HJ Aldington Managing Director. HJ Aldington, who was still in the British Army, used his military connections to visit the bombed BMW factory in Munich several times in 1945, culminating in a 'duty' trip in October 1945, along with his brother and two Bristol representatives, to take detailed plans of BMW cars and several development engines which they flew back to Bristol. This was quite a tricky manoeuvre as Munich had been declared part of the American Zone and the American Military had just issued orders for the BMW plant to be dismantled and crated up for shipment to the USA. These plans and engines were subsequently declared to be war reparations. BMW chief engineer Fritz Fiedler was also given employment at AFN where he continued development of the BMW 328 engine. By mid-1947, the different intentions of the Aldingtons and Bristol were becoming clear and Bristol severed its ties with AFN, returning control of AFN to the Aldington family. 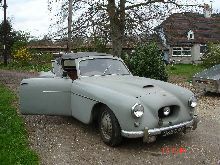 Earlier in 1947 BAC had registered the company Bristol Cars Ltd although it continued for several years to market its cars as made by the Bristol Aeroplane Company. 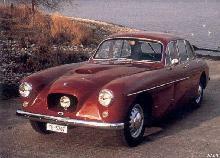 The first car, the 1947 Bristol 400, was heavily based on pre-WW2 BMWs. The body looked very like the BMW 327, while its engine and suspension were clones of BMW designs (engine and front suspension based on those of the BMW 328, rear suspension from the BMW 326). Even the famous double-kidney BMW grille was carried over intact. Until 1961 all Bristol cars used evolutions of the 6-cylinder BMW-derived engine. This well-regarded engine also powered a number of sports and racing cars, including all post-war Frazer Nash cars (apart from a few prototypes), some ACs, some Lotus and Cooper racing cars, and several others. 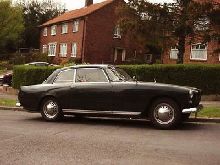 In 1961, with the launch of the Bristol 407, the company switched to larger Chrysler V8 engines, which were more suitable for the increasingly heavy cars. All post-1961 Bristols including the current Blenheim and Fighter models use Chrysler engines. From 1960 to 1973, former racing driver T.A.D. 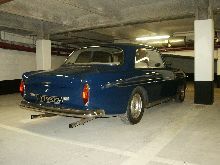 Tony Crook and Sir George White owned Bristol Cars; In 1973, Sir George sold his stake to Tony Crook. 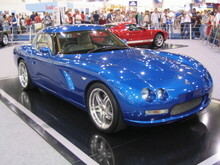 In 1997, Toby Silverton came on board and there followed the greater level of development of cars seen in recent years (particularly, the new Bristol Fighter). Crook eventually sold the company to Silverton in 2001. 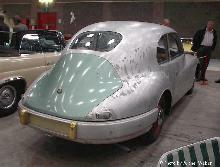 Some Bristol cars were made in chassis form and then bodied by specialist firms such as the lightweight Zagato bodies and the custom line of Arnolt Bristols.